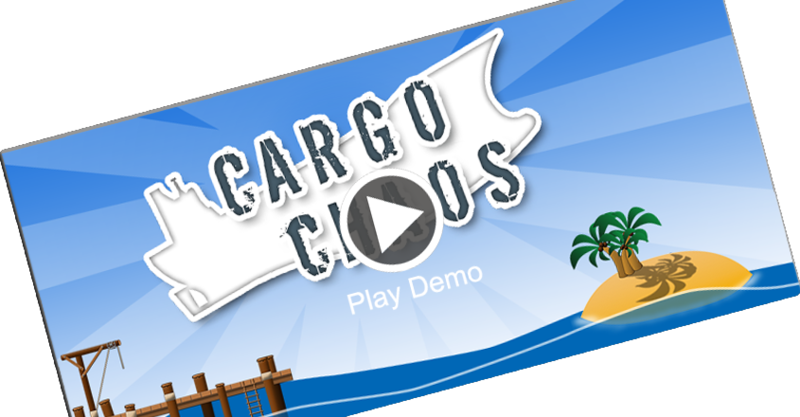 So Cargo Chaos has moved into the final stages and is awaiting approval from Apple. I think at the end of this process I can say I'm broadly happy with the finished product, which is a big deal for me given how critically I view my own work. During the end of development I did take out my iPad once or twice with the intent to play my own game for fun rather than work. Given that I've played the game so much over the last 6 months that is probably a good sign. Most importantly, I can now say unequivocally that it is possible to complete the whole game in its entirety. This may sound like obvious stuff but finding balance between casual victory and phone snapping frustration has been hard. In the end I think I managed to find the balance but in a perfect world I would have had more time and data to better tweak the experience. First, I want to say that my blog posts for Days 1 through 3 will be a more technical and in-depth description of what I accomplished each day. This post will be about what the game is or what we wanted to do on the whole. 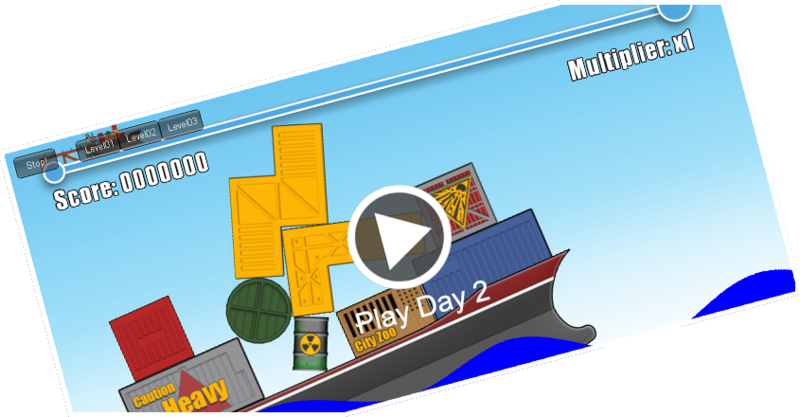 The basic idea we had for Cargo Chaos before starting work on it was that it would be a 2D action puzzle game where the object of the game is to load up a cargo ship with various different types of cargo at one port and then try to make it to the next port with as much cargo left as possible. 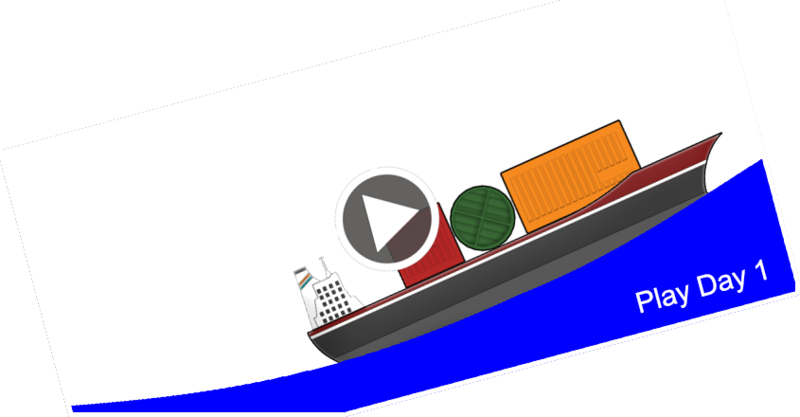 There are many different types of cargo with different shapes and attributes and the puzzle of each level comes from how best to load the cargo up on the ship as well as keeping it there along the way. 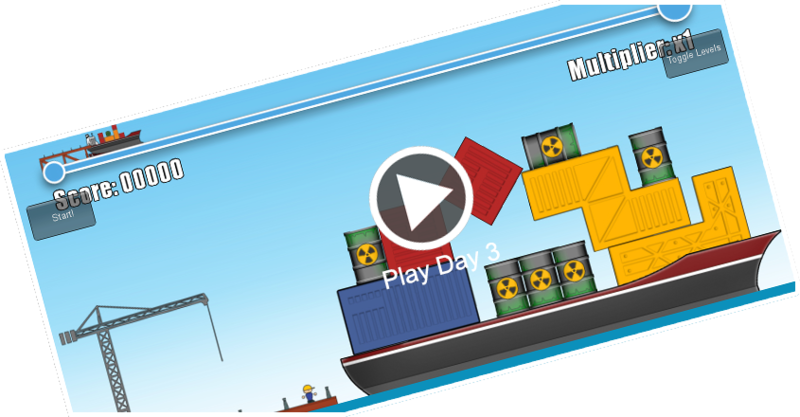 Once you have set sail, you face the challenge of having to try and keep the cargo on the ship while it goes over waves of different heights and frequencies.